Holidays and tours are an exciting time to relax, learn and experience new things. 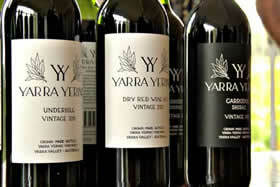 Yarra Valley Wine Tours could be just what you are looking for in order to experience that unforgettable holiday. Travel to Australia for a taste of the best wine and food prepared with utmost expertise. The experts will introduce you to famous foods and wines of the region. You can even make customized arrangements in consultation with your guide for a chance to experience the best produce, wine and fine food. The transport options for getting to the wineries are endless and range from driving a car to riding a motorcycle. The height lovers will have the time of their life arriving in style in a hot air balloon. For those who would prefer to have a quiet drive through the farms there are several self-drive touring routes with captivating views. Sample the best wine at gourmet outlets, wineries and roadside stalls or get the opportunity to choose the best cider from among the most enticing beer and cider producers. The highly experienced and friendly staff will help you choose between the available flexible public tours or personalized private tours. For the public tours, you will be treated to iconic tours to wineries which majority would want to visit and there is also an opportunity to make requests to visit particular wineries. A personalized tour is ideal for those who desire to pamper themselves. 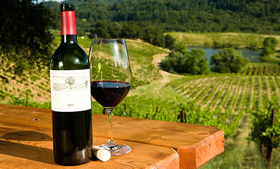 It is also a great opportunity to visit the wineries that are of interest to an individual. You will also enjoy delicious meals in the course of your visit to the wineries and treats to the best wines, coffee or tea. The best part is that you get to do all these without being rushed in a relaxed and welcoming atmosphere. Group tours can be organized regardless the size of the group. Be it a girls’ day out or corporate tours for work colleagues or clients. All arrangements for the day are taken care of by the touring agency leaving you with enough time to relax and enjoy the tour. The agencies maintain constant contact with the wineries and therefore they do an excellent job selecting the venues that best suit your requirements. Feel free to visit the wineries for varied occasions, be it wedding preview tours, weekend tours with friends or baby shower luncheons. Having a taste of an array of handmade cheese would most definitely be an amazing twist for the tour. Some buses even have refrigeration to preserve any of the products you’ll decide to purchase while on tour. Pick-up services are also available by arrangement and you get to enjoy the luxury of being picked from your hotel or home at the time agreed upon. Pick up times can also be altered to suit your schedule and requirements. This is more than enough for an exciting and fulfilling tour. Waste not any more time trying to decide on an ideal weekend getaway or family treat and visit the Yarra Valley wineries. Even when you have absolutely no idea what to expect, you will most certainly not be disappointed. Sydney has always been a favorite tourist destination in the whole world. As soon as you set foot in this lovely city, you will be embraced with bountiful attractions both manmade and natural. From the central business district to the outskirts, a number of tourist spots can be seen and if you want to feel the countryside, Hunter Valley tours is a perfect start. Hunter Valley is located approximately 120 kilometers north of Sydney. Since it constitutes a vast land area, it also known as the hunter region. With acres of grape vineyard, Hunter Valley is well-known for the best wine producer in the entire continent. While wine-growing is the region’s most promoted product, the state also takes pride with its scenic rivers, mountain ranges, horse breeding sites and coal industry. Being the 6th most-visited place in Australia, Hunter Valley tours is a favored package by tourists’ all-year round. Hunter Valley is just two hours away from Sydney. Because of this close proximity, weekends are always full of visitors comprising of locals and tourists. Most visitors avail of day trips in Sydney to reach the place. A day spent in this wine country is actually full of beautiful things. From grape-picking to wine-tasting, tourists will truly love every activity that the place offers. As you explore the region, you can enjoy breathtaking views of the Brokenback Mountains, spot some rare animal species in its wildlife sanctuary or drive to scenic Port Stephen. There’s just so plenty of things to do once you set foot in beautiful Hunter Valley. If it is your first time to visit Sydney, never miss to visit Hunter Valley. Actually, once you communicate with the locals, they will always recommend this place if you are searching for sightseeing Sydney that involves nature tripping. Hunter Valley can be reached in almost all types of transportation. The shortest trip is via airplane heading to Cessnock Airport or New Castle. You can also opt to rent a car and enjoy a scenic two-hour drive from central Sydney. Depending on the kind of Hunter Valley tours you have chosen, you will surely get information on what kind of vehicle to use. Sydney will never lose its charm as a tourist destination because the locals are very much concerned about environmental preservation. They care a lot for their tourist attractions so that the city remains to be a top choice for vacationing.